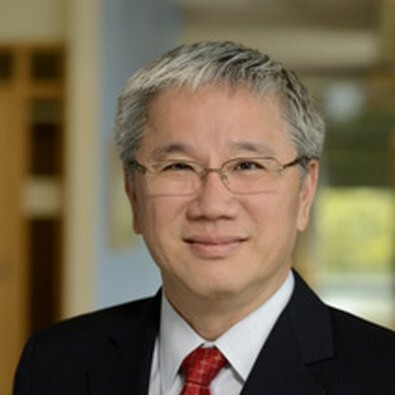 Ko Wang, PhD (University of Texas, Austin) is a Professor in the Research Track at the Johns Hopkins Carey Business School from 2014. Prior to joining the Carey Business School in 2014, he served as the Newman Chair in Real Estate Finance at the Zicklin School of Business at Baruch College/City University of New York. Before Baruch, he served as a chaired professor of real estate at the Faculty of Business Administration at the Chinese University of Hong Kong. Ko Wang and Yuqing Zhou, “Equilibrium Real Options Exercise Strategies with Multiple Players: The Case of Real Estate Markets," Real Estate Economics 34:1, 2006, 1-49. Su Han Chan, W. K. Leung, and Ko Wang, "The Impact of Institutional Investors on Monday Seasonal," Journal of Business 2004, 967-986. Ko Wang, Leslie Young, and Yuqing Zhou, "Non- Discriminating Foreclosure and Voluntary Liquidating Costs," Review of Financial Studies 15:3, 2002, 959- 985. Ko Wang, Yuming Li, and John Erickson, "A New Look at the Monday Effect," Journal of Finance 52:5, 1997, 2171- 2186. Su Han Chan, George Gau, and Ko Wang, "Stock-Market Reaction to Capital Investment Decisions: Evidence from Business Relocation Announcements," Journal of Financial and Quantitative Analysis 30:1, 1995, 81-100. Ko Wang, Su Han Chan, and George Gau, "Initial Public Offerings of Equity Securities: Anomalous Evidence Using REITs," Journal of Financial Economics 31:3, 1992, 381- 410.